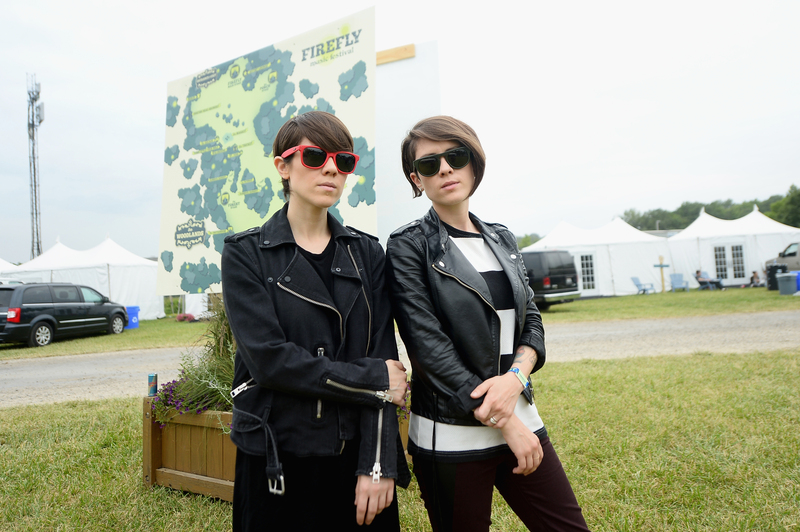 As you may know, we have absolutely all the love for long-time faves Tegan and Sara. Also, we absolutely adore Hayley Kiyoko, an artist who’s a little newer on the scene than our beloved pop twins, but who is totally dominating our playlists right now. If you dig these talented beauties like we do, get ready to freak out, because Tegan and Sara hung out with Hayley Kiyoko and we have major FOMO. We found out that Tegan and Sara hung out with Hayley Kiyoko when Hayley posted a pic of the epic trio on Instagram. Like, ah!!! Number one, can we please have access to your closets? And two, why are we not all best friends? Despite our envy, we had nothing but love when we realized *why* they were all hanging out. "Got to spend the day with some really powerful and inspiring women thanks to @teganandsara You both have inspired me growing up. Let's keep spreading the love to achieve a safer, more accepting world for everyone. #teganandsarafoundation"
Like, YES. We are so, so here for this message. We were so blown away when we learned that the Tegan and Sara Foundation was a thing. It’s honestly so important that their foundation is dedicated to supporting and uplifting LGBTQ girls and women. "Over the years, our LGBTQ fans have supported us in innumerable ways. Your personal histories of injustice and discrimination at home, school, work, and church have always inspired us to use our public status to speak out about the struggles impacting the LGBTQ community. We started the Foundation to dismantle the systems of inequity that prevent LGBTQ girls and women from reaching their full potential. Together, we can make a difference. Join us, and learn more about our organization at teganandsarafoundation.org"
Now that’s something we can all get behind! We’re so glad Hayley showed up to support, though it’s not surprising considering her own status as an icon among LGBTQ teens. We’re just happy that the foundation is receiving so much love already. We’re sending even more love their way!